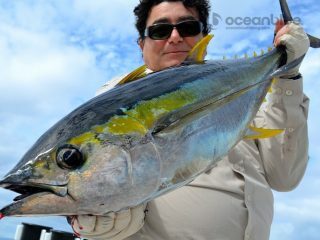 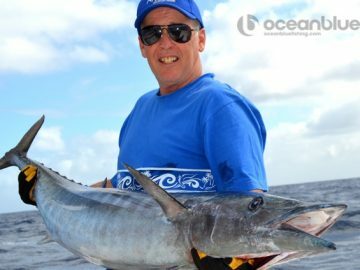 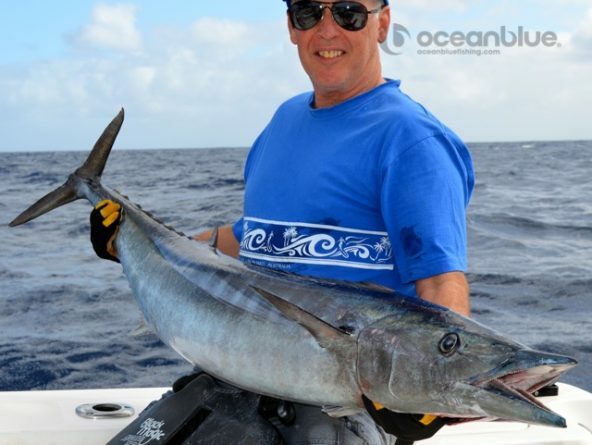 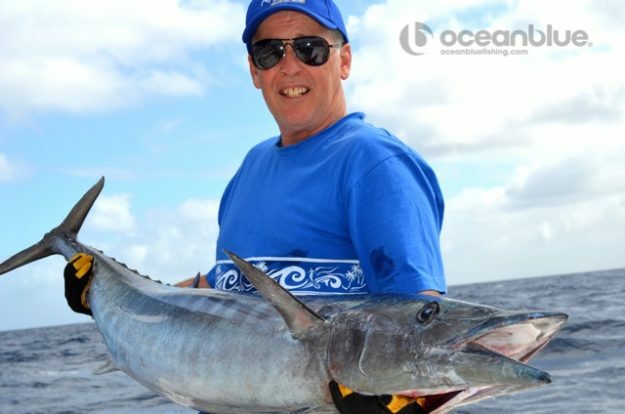 Ocean Blue Fishing - Making the Most of a Winter Getaway! Making the Most of a Winter Getaway! 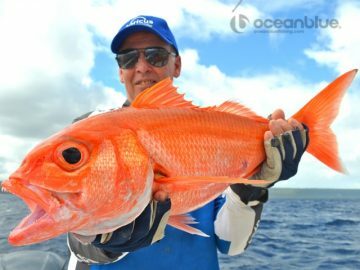 Escaping the Sydney winter to our warm Vanuatu paradise of Trees & Fishes, Michael Sciberras (who last fished with Ocean Blue in 1995), Alan Skinner and Eugene Tesoriero made this their reality last week. 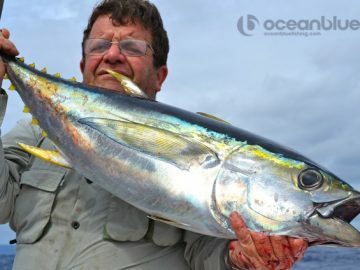 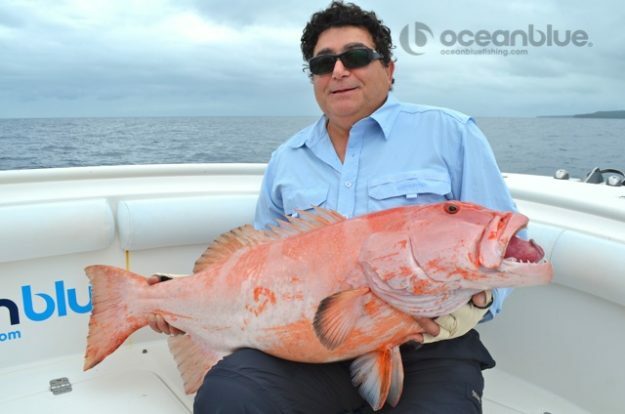 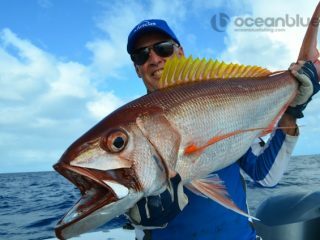 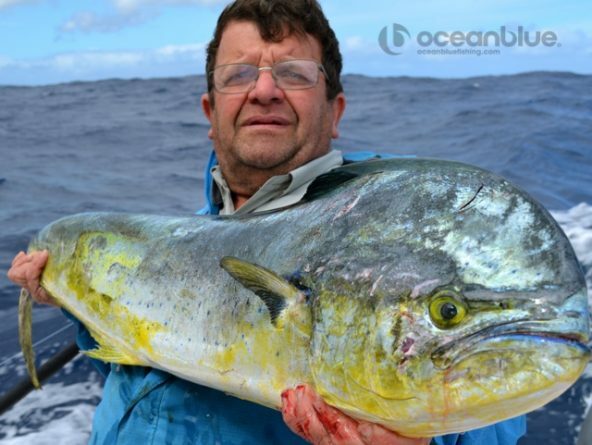 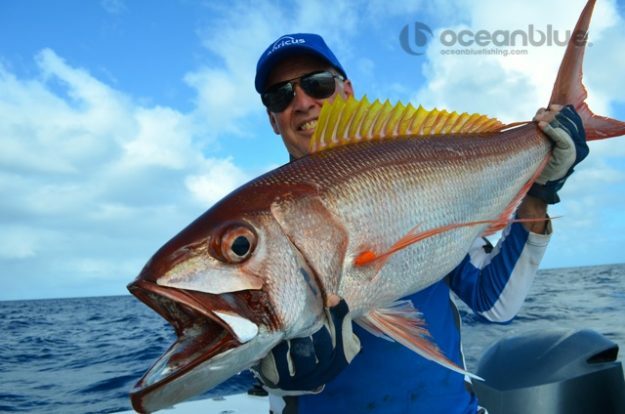 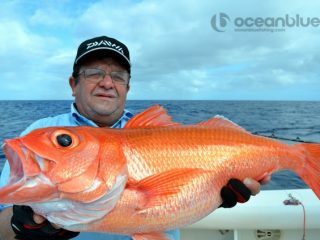 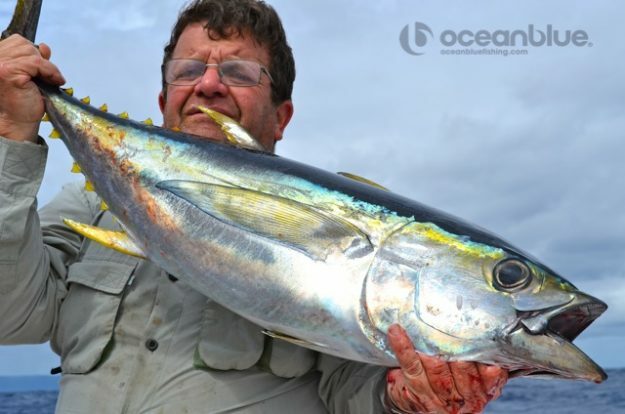 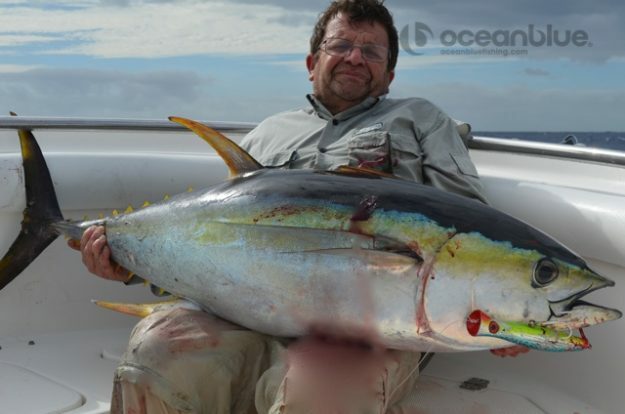 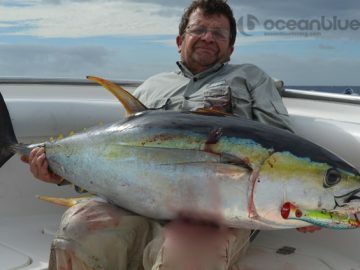 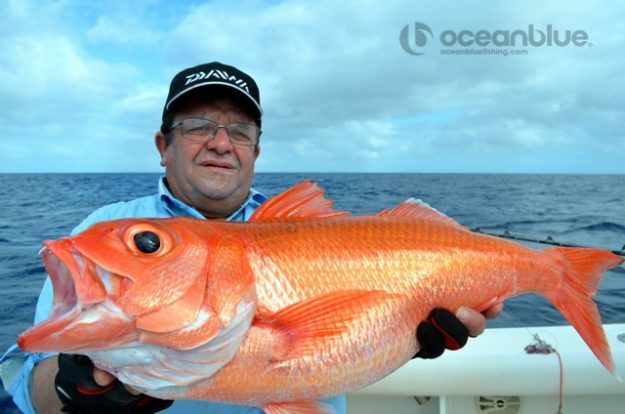 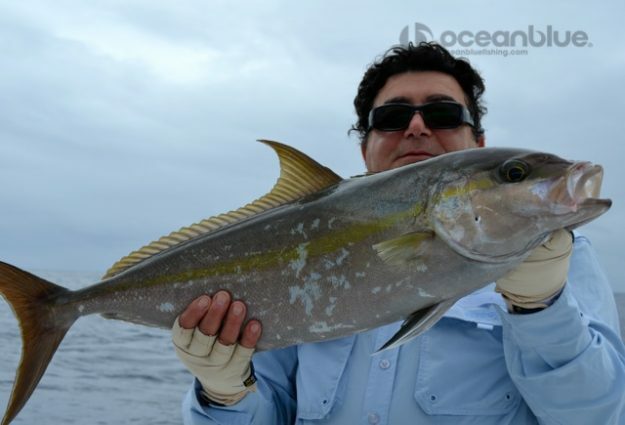 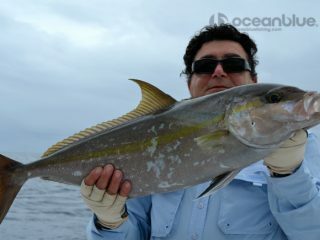 The guys were after all round bluewater, reef and tropical variety, which they certainly managed under the care & skill of Ocean Blue guide, Stephan Moderan. 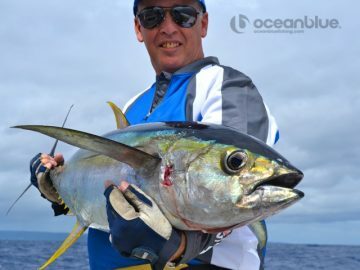 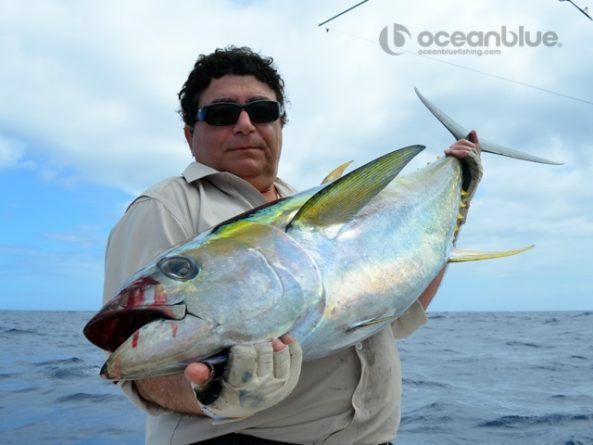 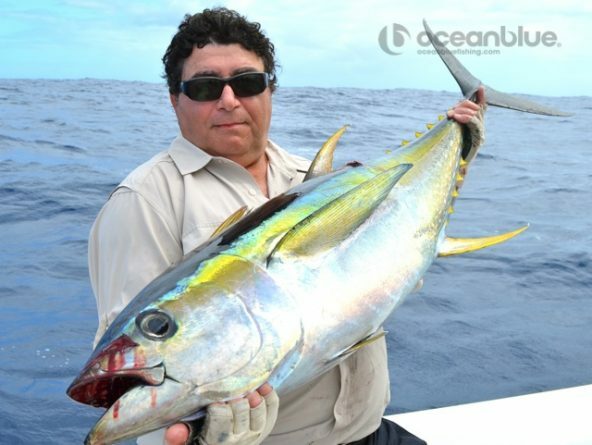 Fishing wise the guys were always close to the action, with memorable captures for Eugene landing a 30kg yellowfin on popper, Michael’s 20kg coral trout and Alan a 20kg Wahoo and Ruby Jobfish or Silverjaw as we call them. 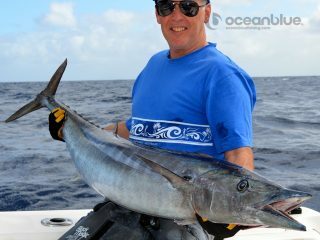 It surely was our pleasure hosting you thank you for escaping your world to discover ours! 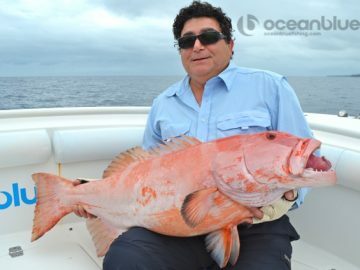 This Is What Sportfishing Is All About!